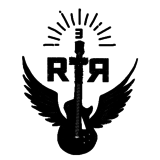 Rock to Recovery was created to help soothe the restless soul of those in recovery. We do this by creating a band and writing songs together, with Rock to Recovery's staff of professional musicians who are also in recovery. We help bring fun into treatment, offering a natural escape from the fear-based mind by helping grow a sense of belonging and self esteem. We help to vent emotions by writing lyrics and singing together, for release, in real-time, tying in a positive theme of hope in recovery througout the whole process. When the session is done, our 'band' feels a new energy all throughout their mind and spirit.